I just had to, they’re so adorable! 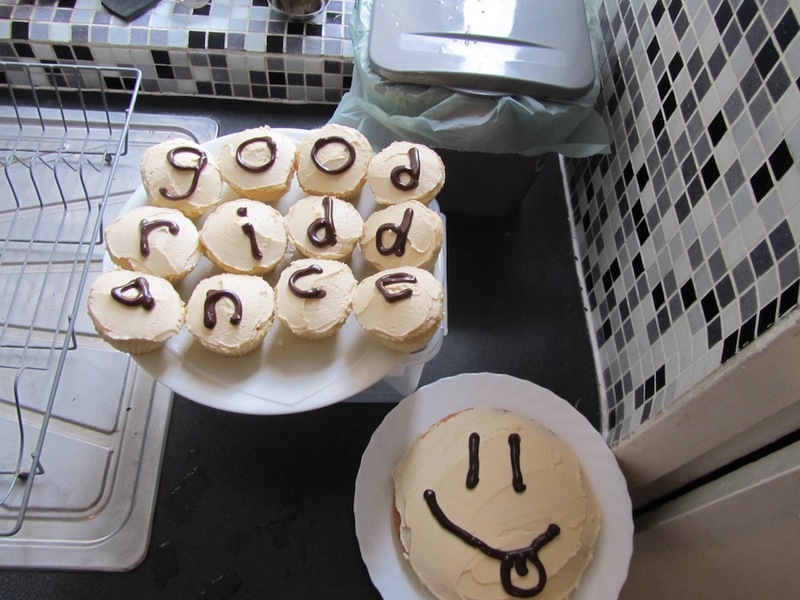 The day before I moved out of my old flat, my wonderful flatmate Stephen made me a batch of cupcakes. 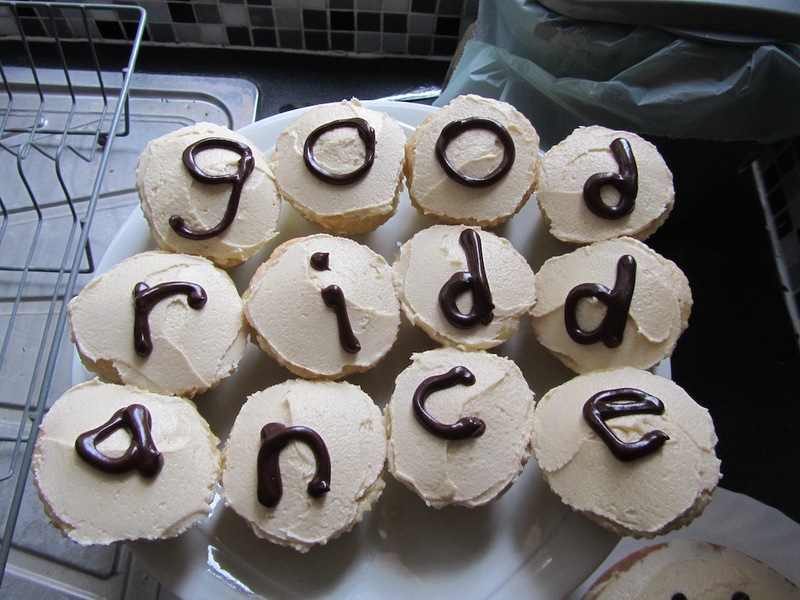 They said “good riddance” and they were beyond delicious. I do miss his baking.